CN train M346 accelerates on the main at South Marsh. 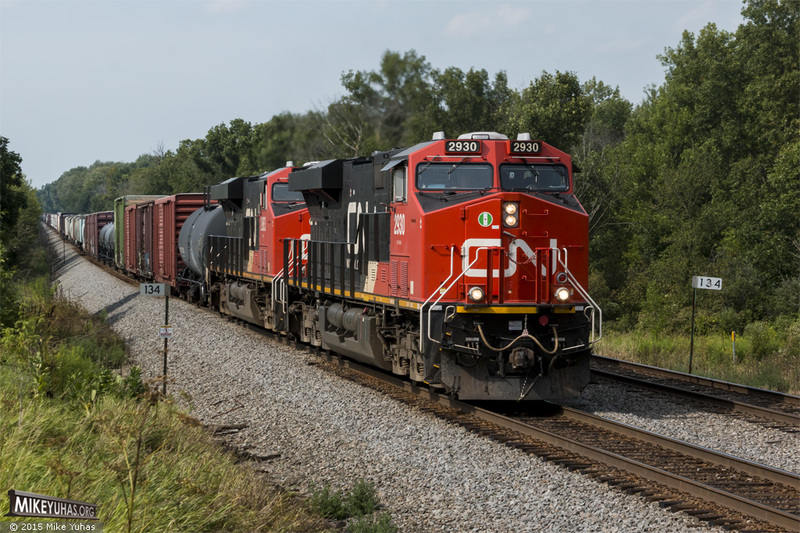 Train markup: CN 2930, CN 2883, 106 loads and 22 empties, 13,939 tons, 7,898 feet. The train held here for a few minutes while waiting for a rock train ahead to clear.